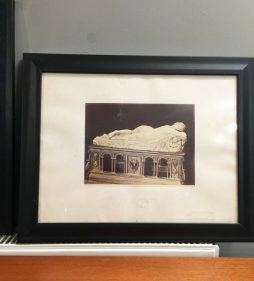 Pictures | Interior Boutiques – Antiques for sale and mid century modern furniture, french furniture, antique lighting, retro furniture and danish furniture. 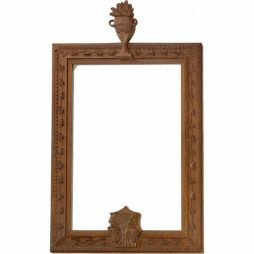 Interesting and decorative carved pine Picture or Mirror Frame from France surmounted with applied vase of flowers. At the base is another central applied carving of wheatsheaf flanked by bunches of grapes, while the moulding itself has a continuous pattern of carved vine leaves. 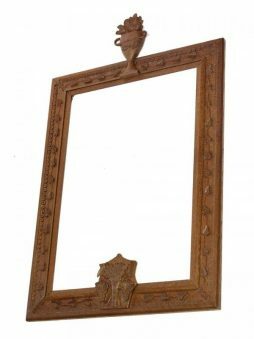 The rectangular frame measures 35 inches high x 22 wide. 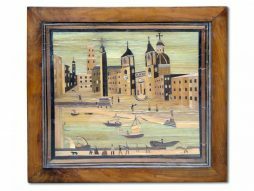 Circa 1900-1920. In very good condition. 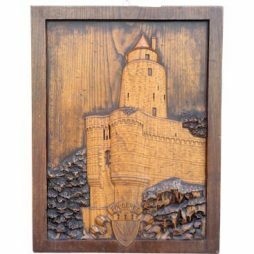 An interesting vintage Relief Woodcarving of a famous chateau in the Brittany region of western France. 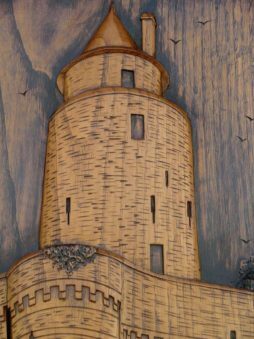 Specially commissioned with a local woodcarver as both a piece of advertising and an expensive tourist souvenir, the 3-dimensionally carved panel depicts one of the towers of the Chateau de Fougeres set on its rocky promontory, and with the shield and ribbons of the chateau’s coat of arms superimposed at the center bottom of the panel. Circa 1900-1935 Measures 26 inches high x 18 wide. 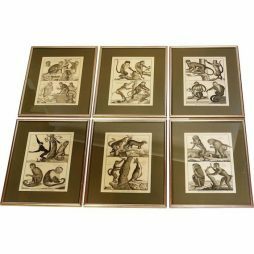 An Important and decorative set of original hand-engravings by the 18th century French zoologist mathematician and philosopher Georges Louis Leclerc, Comte de Buffon.(1707-1788). The copper plate engravings which were from De Buffon's 'Histoires Naturelles', first published in France in 1749, are of rare domestic breeds and wild species of animals. De Buffon was a pre-cursor to Darwin and at the time his books were considered to be on a par with Voltaire and Rousseau. In 1782 he was elected a foreign honorary member of the American Academy of Arts and Sciences. For more information see Wikipaedia online. 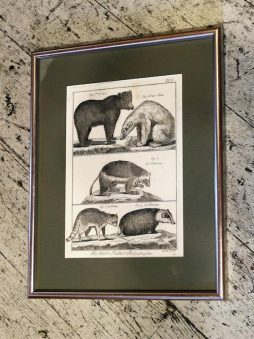 These engravings come from the 1782 edition of the Histoires Naturelles and have been edged with dark green mountcards and then framed behind glass. Photos of all the engravings available on application. 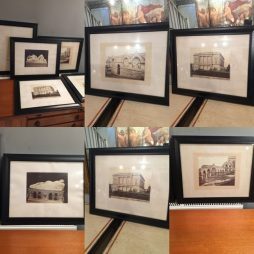 The framed engravings are for sale either as a complete collection, 10 available or as a lesser group. 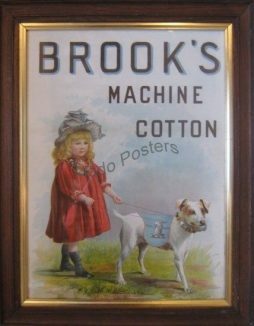 Antique Framed Brooks Cotton Advertising Picture Dimensions 25 x 16 inches Year 1910 Subject Products Country UK Condition Good Comment This is a framed poster. Condition Report : Some scuffing. 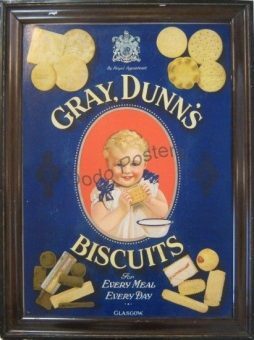 Antique Gray Dunns Biscuits Framed Advertising Sign. 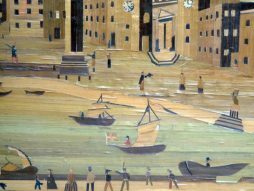 Dimensions 28 x 21 inches Subject Sweets & Biscuits Year 1930s Country UK Condition Some scuffing Comment. Condition Report : Some scuffing and staining to edges; top cut. Dimensions 19.5 x 15 inches. 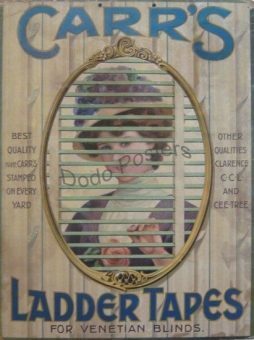 Antique Carr’s Ladder Tapes Advertising Card Sign Dimensions 19.5 x 15 inches. Subject Products Year 1890 Country UK Condition Some scuffing and staining to edges; top cut Comment This is a card sign. Condition Report : Good, centrefold crease is visible. This is a centrefold from Esquire magazine, Beached for the Duration. Dimensions 17 x 13 inches. 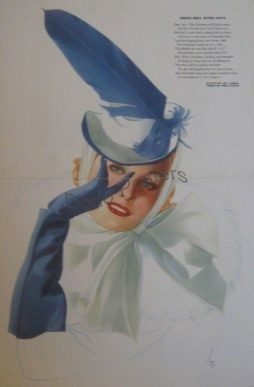 This is a centrefold from Esquire magazine,Victory for a Soldier Pin Up. Dimensions 17 x 13 inches. This is a centrefold from Esquire magazine. Dimensions 17 x 13 inches. 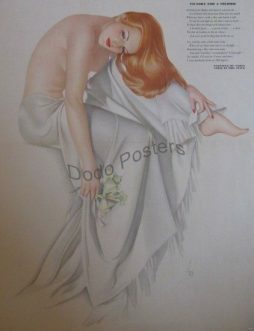 This is a centrefold from Esquire magazine, From Bill with Love Pin Up. Dimensions 17 x 13 inches.